Our 14K matte gold signature twig chain is composed of interlocking links and double strands of blackened silver chain. A tiny diamond-set daisy charm (0.17 ctw) dangles from the twig links and is a twinkling reminder to appreciate the simple things in life. A testament to the beauty of care-free times, where innocence and love rule the day. 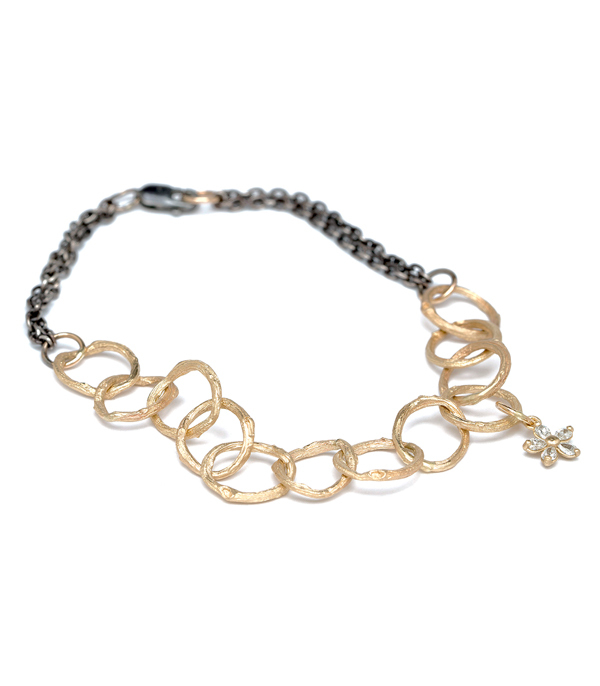 This substantial chain bracelet looks stunning alone or layered with your favorite bracelets. Categories: Bracelets, Earth and Sky.